If you don't have a DoggyLoot account yet, now is a good time to create one! All new accounts get an instant $5 credit. 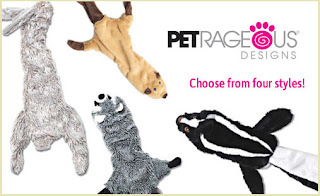 With it, you can get a RoadRageous dog toy for only $4 with free shipping. These regularly cost $16! There are four fun styles to choose from. RoadRageous toys are creatures that come equipped with a squeaker and without the stuffing inside, so your pup can have all the fun without all of the mess.